4 negatives : b&w; ; 4 x 5 in. 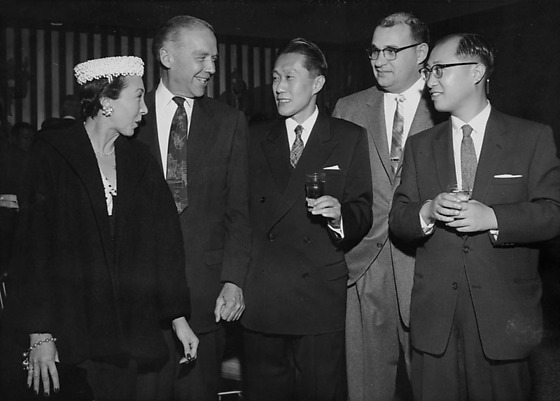 Party for the opening of Iino Kaiun, a Japanese shipping company, held at the Ambassador Hotel in Los Angeles, California, December 6, 1956. Party is attended by Japanese and Caucasian men and women, including Consul General of Japan, Shigeru Nakamura. Includes men standing together and toasting with glasses. Typed on original negative envelope: IIno Kaiun at Ambassador Hotel.